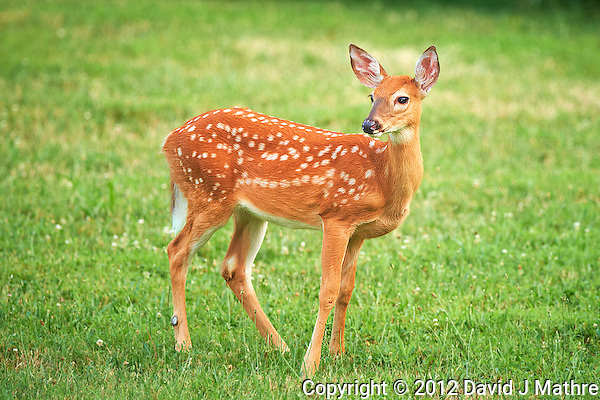 Inquisitive Fawn with Spots. One of the first images with a new Nikon D4 camera. It really was darker than this looks. This was taken at ISO 1600, and I have not done any noise reduction in post processing. Focusing was fast and accurate.